Ok, totally failed on my New Years resolution to get back to blogging regularly. It is just so busy with work and other commitments that I just have nothing left. I am determine to get the IMK post up this month! 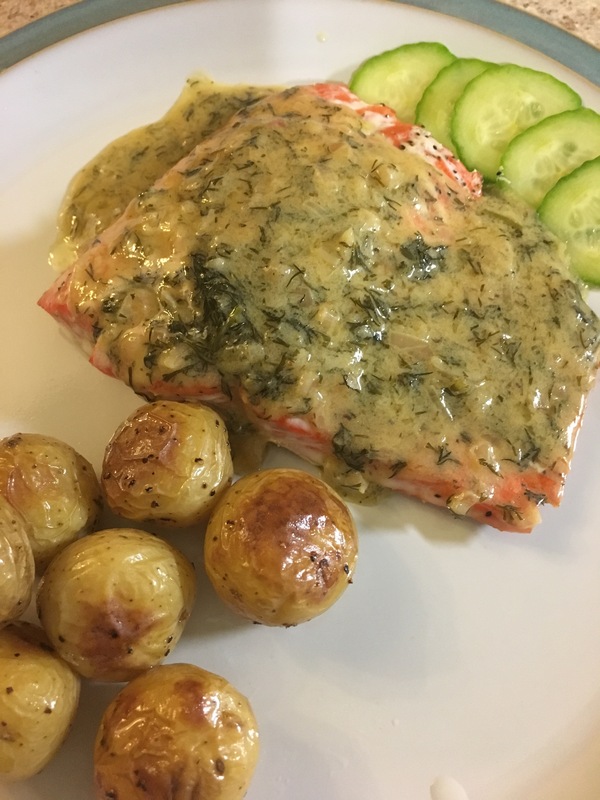 Here are a few things that have been in my kitchen this month. My favourite cheese, soft creamy and so good. Wonderful served with dried figs. 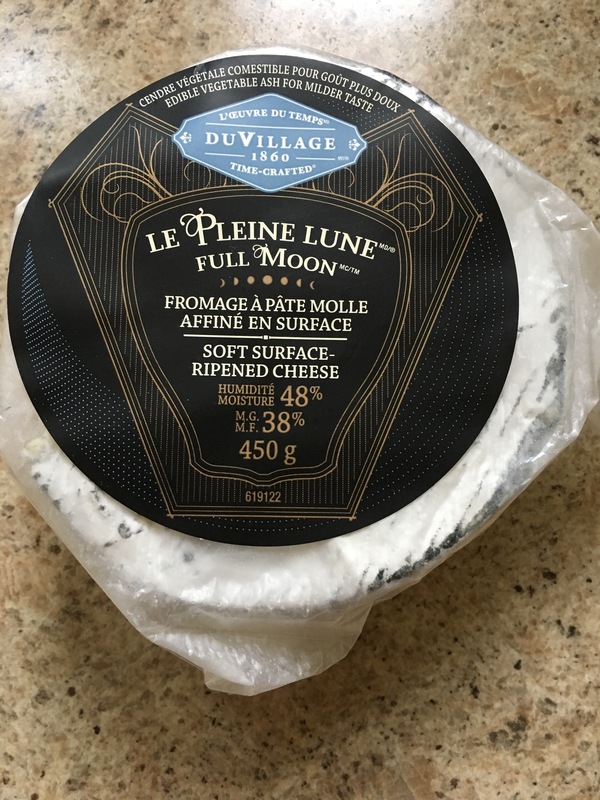 It is a Quebec cheese and I like supporting Canadian and local producers. 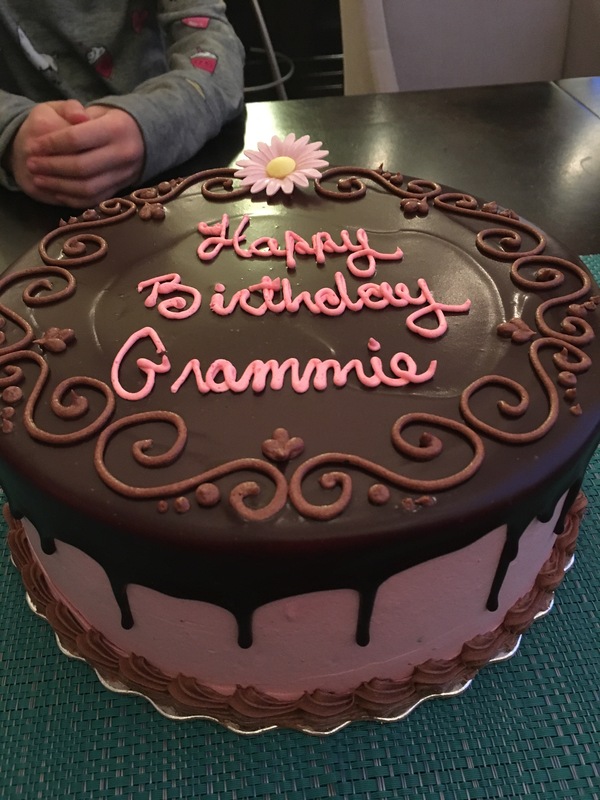 It was my Mom’s birthday and we had this chocolate raspberry cake. 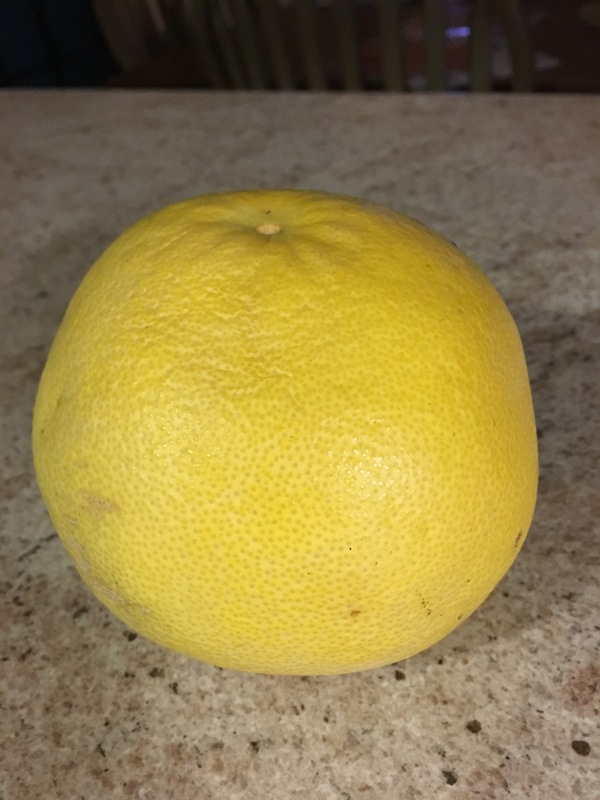 We have been eating lots of these Sweeties, a grapefruit & pomelo cross. They are very sweet and juicy. Evie made me this coaster for my morning coffee. We are joining Liz at www.bizzylizzysgoodthings for the IMK link up. If you would like to join post before February 10th, link back to her site and let her know you have posted. 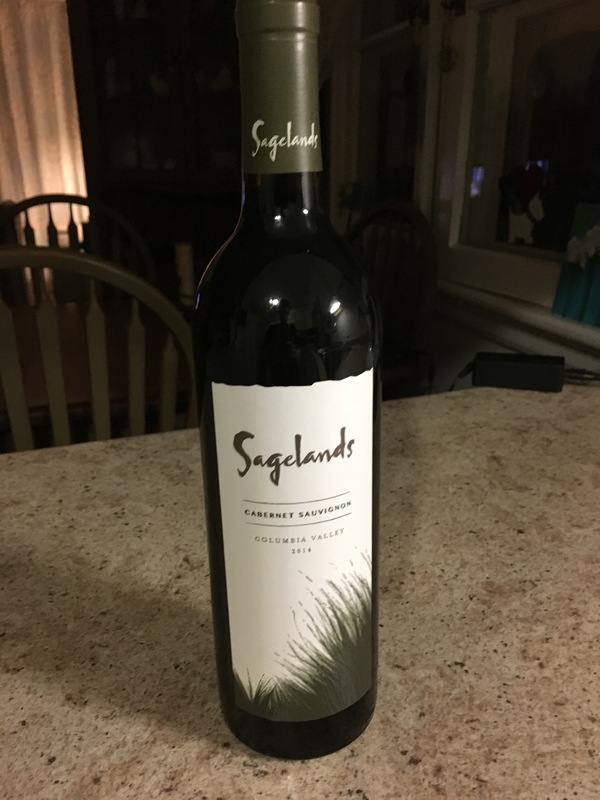 This entry was posted in In My Kitchen and tagged cabernet, chocolate cake, coaster, dill, grapefruit, lego, pleine lune cheese, pomelo, Sagelands, salmon, sweeties, weaving, white wine sauce, wine. 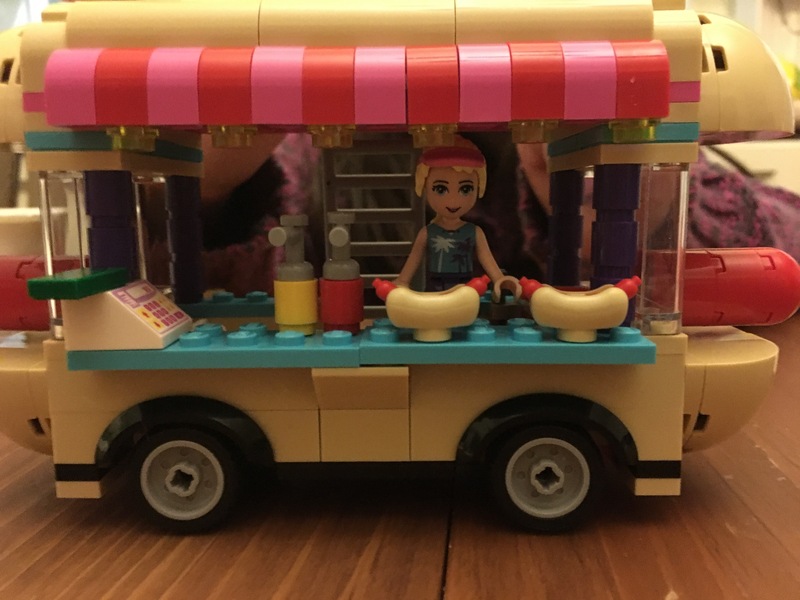 Tell Evie that her hot dog stand is amazing! Gorgeous cake! And your Evie is very clever. oh yum that salmon. i want to eat it now. and that cake – so pretty. 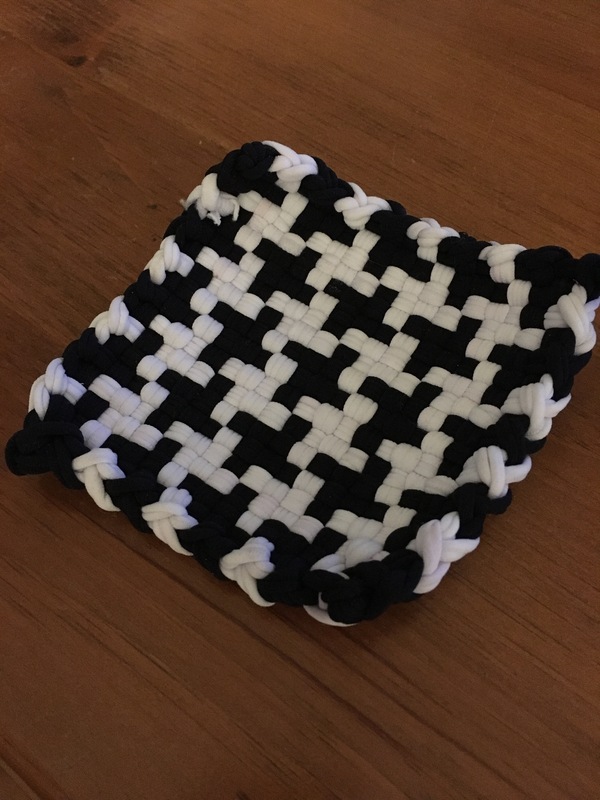 i adore the coaster – so clever so pretty so useful.